The DT35 is designed to be used for small jobs and works well in conjunction with the FP35 Spin Dryer. The FP35 basket is placed into the FP35 and the pump circulates the water through the basket openings. A fines screen removes any small pieces. 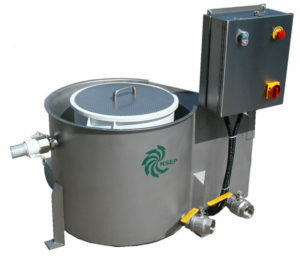 A rack is designed into the DT35 to allow the basket to drain after washing and prior to spinning.